A three-month long bitcoin price squeeze (BTC) could be nearing an end, with a key volatility indicator reaching its lowest level for 21 months. The leading cryptocurrency has charted lower price highs and lower price lows (pennant) since the end of June and the lack of strong direction bias has both bulls and the bears waiting on the sidelines. As a result, volatility as represented by Bollinger bands width – a technical analysis tool derived from +2, -2 standard deviations of a price’s moving average – has hit the lowest level since December 2016. When measured by standard deviation across all exchanges, volatility is at the lowest since July 2017, according to Bitcoinity. It is worth noting that an extended period of low volatility usually paves way for a strong directional bias, meaning bitcoin could soon witness a big move in either direction. At press time, BTC is trading at $6,490 on Bitfinex. Over on the daily chart, BTC is trapped in a pennant pattern. As of writing, the top edge (resistance) of the pennant is located at $6,900 and the lower edge (support) is seen at $6,270. The Bollinger bandwidth (gap between Bollinger bands divided by 20-day moving average) has dropped to a 21-month low of 0.0975 today. Further, the oscillator is showing that volatility has steadily declined over the last nine months. So, it seems safe to say that a spike in volatility (big move in prices) is overdue and going by the moving average studies on the long-term charts, it could happen on the downside, that is, the pennant support could be breached. The 5-period and 10-period exponential moving averages (MAs) have produced a bearish crossover on the monthly chart for the first time since the second half of 2014. More importantly, the bearish cross has gained more credence, courtesy of BTC’s drop from the weekend high of $6,841 to the previous day’s low of $6,325. Over on the hourly chart, BTC is struggling to pick up a bid despite the bullish divergence of the relative strength index (RSI) and an inverse head-and-shoulders breakout. All of which indicates that bearish sentiment is quite strong. 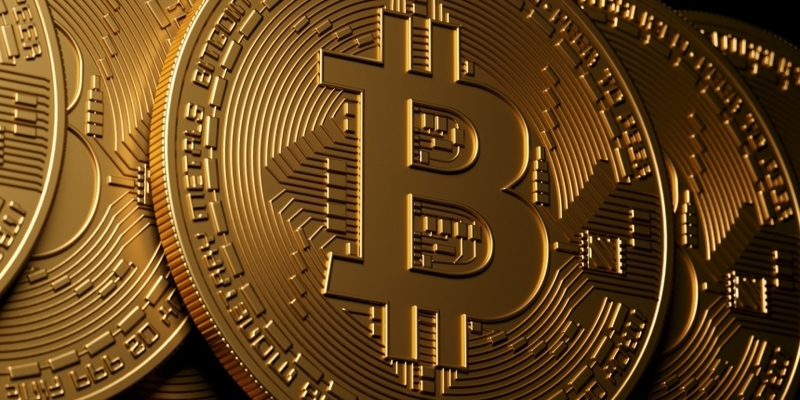 Bitcoin price volatility could rise sharply in the next few days. The technical studies are calling a downside break of the pennant pattern, in which case, the June low of $5,755 could come into play. An upside break of the pennant pattern would open the doors to July highs above $8,500.